The use of aromatherapy during pregnancy is believed to help relieve stress, increase energy, and relieve physical discomfort associated with pregnancy. Massage and aromatherapy are combined to improve health and mood in pregnant women. Using aromatherapy during pregnancy will help increase relaxation breathing exercise as well as useful in childbirth. Essential oils (essential oils) used in aromatherapy are also able to nourish the skin and soften scar tissue commonly arise during pregnancy. The use of aromatherapy is generally regarded as safe after the first trimester of pregnancy. Massage using aromatherapy essential oils are mixed with carrier oil (carrier oil) such as almond oil can help relieve pain and muscle stiffness. Massaging the legs and feet with chamomile oil believed to relieve water retention and fatigue. Using aromatherapy oils of ginger, sweet orange, spearmint, or lemon can also help relieve nausea in the morning (morning sickness). Lavender, geranium or frankincense effectively calm emotional fluctuations commonly accompany pregnancy. The benefits of using aromatherapy during pregnancy also include lowering blood pressure and anxiety. Benefits of using aromatherapy relaxation is very useful to prepare expectant mothers during childbirth. A hot bath and a massage using aromatherapy essential oils to promote relaxation. During childbirth, essential oils such as jasmine, geranium, lavender, neroli, and ylang ylang can be placed in a bowl of hot water near the pregnant women to ease childbirth. The oil will help calm the mother, maintaining strength uterus during childbirth, help breathing, and lower blood pressure. The use of aromatherapy can also be part of skin care therapy for pregnant women. Essential oils such as avocado, chamomile, or jojoba helps moisturize the skin, prevents itching, and dryness that often accompanies pregnancy. 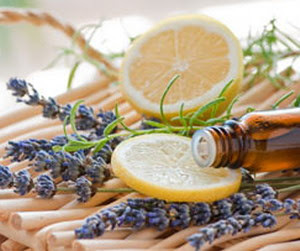 However, it should be careful, there are some aromatherapy oils are believed to have strong properties that could potentially endanger pregnant women. Some aromatherapy oils should be avoided during pregnancy such as rose, cedarwood, basil (basil), thyme, and lemongrass.